Sevann scored an outstanding 41 points throughout the three game series. he also hit a go-ahead three with 3 seconds left in overtime in the first game for CMU. He scored 21 of his 41 points in that first game. 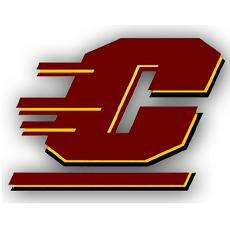 Corey scored 42 points throughout the three game series for CMU. He help keep them in the third game by hitting six three-pointers and totaling 22 points in that game. 7 Jankowsky, Nathan 08/1995 3rd / Jr 6' 3" 170 SG / SF Blanchard, MI Montabella Jr./Sr.